Over the past few years I've been told time and time again that smartphones are boring. Even tech fans, people I call friends, have told me there's nothing new that they're bothered about and a slightly higher spec doesn't justify an upgrade. But the most exciting phone innovation of 2016 is already here - it just comes on a phone you probably won't even contemplate buying. Google's Project Tango is a technology that tracks your position relative to the world around you and it could mean a fundamental change to the way we use our smartphones - and the Lenovo Phab 2 Pro will be the first time we've seen the Tango on a commercially available phone. Through the camera, gyroscope and accelerometer in your phone, Tango will use depth perception technology and previous details of the environment to identify where exactly the phone or tablet is in a space. There's no need for GPS. The thing I'm most worked up over is the sheer amount of opportunities this opens up with indoor navigation, which is something GPS is unable to do. I really want an app that could use Tango to identify exactly where my friends are at a football game or concert, telling me accurately where they are down to a seat number and directing me there with augmented reality instructions or a traditional dot on a map. That's great because you now don't ever have to lose your friends in large crowds again and it's something no other tech can offer without a great deal of hassle. It's the future. I was first excited by Tango when I was given the opportunity to explore a museum with an app that told me where to go for the next best exhibit. When I arrived at a painting, augmented reality pop-ups would appear on the screen to teach me information I wouldn't have learnt without this tech. In a museum this was fun, but imagine a day where you land in a foreign city, download an app for Tango and it tells you where you need to go to see all the best landmarks. When you got there it could then teach you everything about it through the camera and AR pop-ups. I can't see an iPhone allowing you to do that anytime soon. The gaming possibilities for Tango are endless too. Pokemon Go, for example, is using AR technology paired with GPS to allow you to hunt down monsters to catch while you're on the move. If developers had used Project Tango, you would be able to play Go in your home as well as outside. Pikachu could be under your bed while there could be a Gyarados hiding in the shower and that's a fun element no other tech would be able to make happen, and gives a new dimension to smartphones that we've been waiting for. The only limitation for Project Tango is how many developers are going to embrace it and that's going to come down to how readily available the tech is. I'll be disappointed if Tango isn't a success because not enough people had the opportunity to try it out. 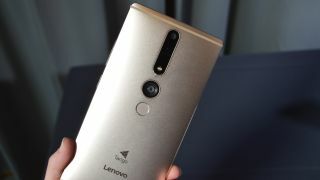 Only Lenovo has a product ready to use the technology and sadly not many people will even hear of the Phab 2 Pro, let alone buy one, because it isn't coming from one of the biggest Android manufacturers. It's unlikely we'll see this tech in the Samsung Galaxy Note 6 later this year, but I'm praying manufacturers are working on bringing Tango to devices behind closed doors. It really all comes down to whether the big names of Samsung, HTC and LG embrace Tango. Tango is currently in a Catch-22 situation where it needs people to embrace apps, but there aren't any as the technology hasn't been rolled out to the masses yet. Amongst all the fast-charging battery and aesthetic changes we get peddled as "innovation", Project Tango is the most exciting thing to happen this year. But if the big Android manufacturers don't see fit to embrace brand new exciting tech, maybe the phone world doesn't deserve to be innovative at all.